A diet high in proteins and fruits can help you lose weight fast. Protein has a thermic effect, which means that it takes a lot of energy to digest it. Meals rich in protein boost metabolic rate, increase fat burning and support lean muscle tissue, according to The Abs Diet by David Zinczenko. Fruits contain powerful fat-burning polyphenol antioxidants also can support your weight-loss goals. Choose the right proteins and fruits at the right time to lose weight fast. Eat lean protein and fruit or fruit juice at breakfast to support a lean lifestyle, says Eric Velazquez in the February 2010 Muscle & Performance article Lean in Less Time. For example, have a couple of eggs, two slices of turkey bacon, 8 ounces of orange juice and a handful of fresh strawberries. Your first meal of the day allows you a little more freedom in choosing higher-glycemic fruits like watermelon, pineapple, dates and cantaloupe. Have six meals and snacks a day that contain lean proteins, fresh fruits and vegetables. Your three main meals should consist of lean proteins like chicken, fish, turkey and eggs. Include protein like cottage cheese, jerky, whey protein and nuts and seeds in snacks between your meals.. Whey protein provides a great source of fat-burning and muscle-building protein when mixed into smoothies, says Mackie Shilstone in The Fat Burning Bible. Enjoy low-glycemic fruits in the late afternoon and evening. Low-glycemic means that they digest slowly, gradually releasing their sugars into the bloodstream. This blunts the pancreatic secretion of insulin, which can trigger blood sugar. Most fresh fruits are low-glycemic, but the best choices are cherries, berries, apples, pears, grapes and grapefruits, according to Combat the Fat author Jeff Anderson. Take in 20 to 30 grams of protein per meal. The aforementioned thermic effect of protein burns up to 30 percent of the calories in protein-rich foods during the process of digestion, says Anderson. Moreover, lean proteins help to balance blood sugar, countering the insulin-spiking effects of carbohydrates and sugars. Do not forget to take in some healthy fats, which also promote fat-burning. 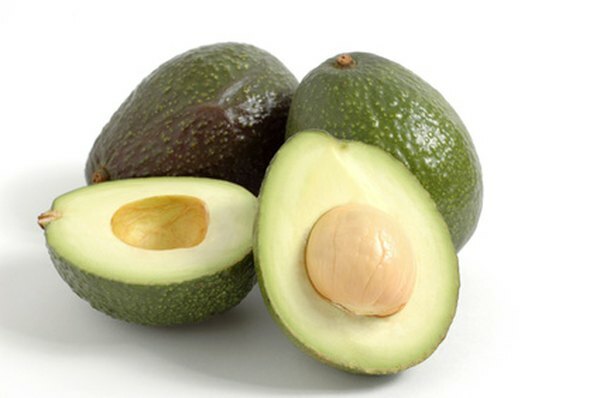 For example, avocados are considered fruit, yet they provide slimming monounsaturated fats that promote weight loss and overall health and wellness. Time your protein and fruit meals around your workouts. Your three to five weekly workouts should include both weight training and cardiovascular exercise. Have an apple and a scoop of whey protein 60 minutes before your workout. Keep both resistance and cardio training under an hour each. Immediately drink a whey protein shake, supplying 30 or more grams of protein. Post-workout makes an excellent time to enjoy high-glycemic fruits and fruit juices to speed up muscle recovery, according to The Carbo Rater by Jordana Brown. Vegetables also make excellent low-glycemic additions to any meal. Green leafy and cruciferous vegetables like broccoli, in particular, contain antioxidants that increase fat burning, says Zinczenko. Consult with your doctor before beginning a fruit and protein diet.